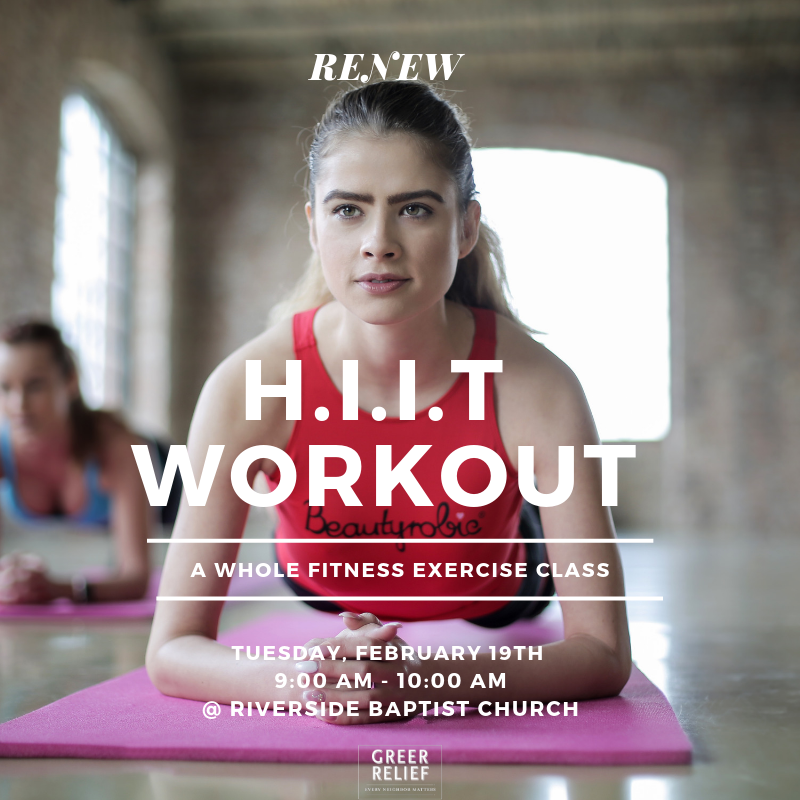 Join Kim from the Whole Fitness Team for a fun and energizing HIIT (High Intensity Interval Training) workout! This class will take place on February 19th from 6:00 PM – 7:00 PM at Riverside Baptist Church. This class is FREE for RENEW Neighbors. In order to receive a RENEW reward, please ask the instructor for one at the end of the class. Register here.